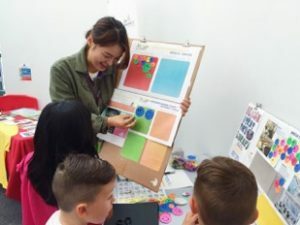 Recent graduate, Jin, shares her thoughts about her time studying Design Innovation Management MSc at Loughborough University London’s Institute for Design Innovation. The first module I studied was Innovation Management. This module looked at the innovation process and models for innovation; the importance of innovation to the economy; government support for innovation; and the importance of innovation in the contemporary business environment. It can be hard to get used to having your two-hour lecture in the morning followed by the module’s seminar in the afternoon, but you get into the routine eventually. I liked to use the time in between the lecture and seminar to review the lecture on LEARN or consult the reading list provided in each lecture. 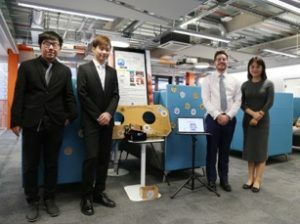 Throughout my time at Loughborough University London there were many opportunities to participate in real projects with a variety of organisations. I had a chance to work on briefs devised by North Highland, Citizens UK, Hackney Wick local authorities and Stratford Library. There were always challenges and problems, but I enjoyed the process of solving them. The Collaborative Project was my favourite module. In response to the brief set by the client, we carried out research, wrote the proposal, visited and communicated with the clients, created the prototype, and finally presented the project to the client at the Trade Fair. I was lucky to have a good team with a very strong and hard-working team leader. 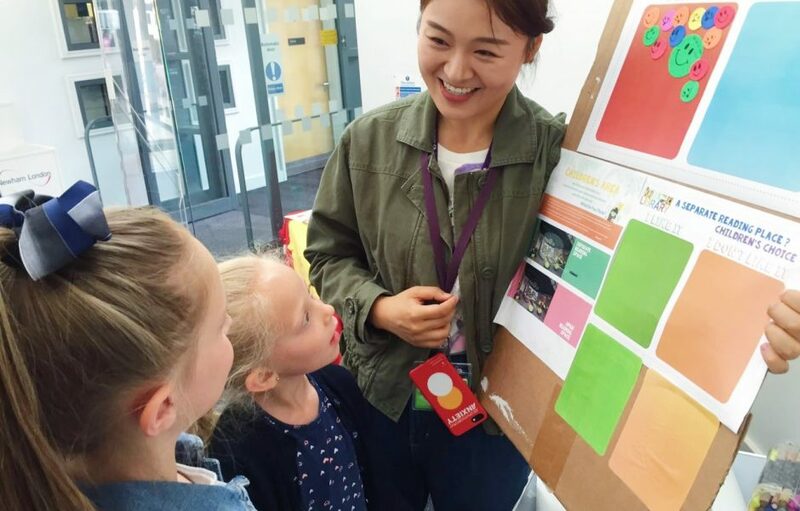 There were inevitably some problems, as there always are in teamwork, but it is one of the best memories I have of my studies at Loughborough and I improved many of my skills as a result of this, including communication and research processes. 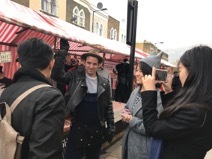 In the Design Thinking Module, I was in another team and we had to complete research at Hackney Wick interviewing citizens about the local street market, getting our insights from real people – I had a great time! Working with a multidisciplinary team and in diverse cultures is exciting. Having a range of different lecturers allowed us to experience a variety of leadership and teaching styles. For example, some used blogs to record the process our projects and some had students leading the seminars. The modules were both interesting and challenging. One of the best things about this university is that every lecturer is patient and puts a lot of effort into supporting the students. They were trying to help us to identify what we wanted to learn and gave suitable suggestions. My tip? If you are curious about something, just let them know, as I’m sure they’ll find a way to help you explore it! Since I enjoyed communicating with clients, residents and team members in my other modules, I chose a project-based dissertation in my final semester. I was confused about starting it and how to focus it appropriately. But, after talking with my supervisor Dr Sharon Prendeville, she listened to my interests and what I wanted to research, then gave me a direction and relevant academic resources to begin. I chose Co-Design as my final dissertation topic, which aims to encourage users’ ideas and creatives to design the spaces for themselves, to maximize their satisfaction. 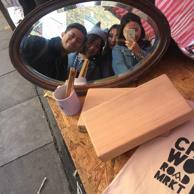 As a Chinese student, it provided me with unique experiences in understanding Western culture and identity and communicating with a range of cultures through organising Co-Design Shops in Stratford Library. I organised these shops, interviewed different people, and built a website to upload the newest information. Additionally, since I had appointments with Dr. Siv Jansson to help with my academic English, I learned how to write more logically and how to persuade readers through academic resources. Throughout the whole process, my supervisor gave detailed feedback which was very helpful. Thank you Jin for your great blog post. 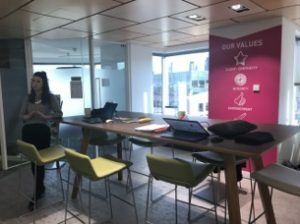 To find more information about our Design Innovation Management MSc or The Institute for Design Innovation, take a look at our website.